Are you struggling to generate leads online? Have the methods that worked in the past become stagnant? No worries. Lead generation online is constantly evolving and it can be hard to keep up. It's time to supercharge your sales funnels with the 10 best ways to secure leads online. These proven tactics will fill your pipeline with ripe new leads you can turn into long- standing relationships. Instead of thinking of a website as something you have to have, think of it as a property that supports your business' direction. It's a hub containing your content, an introduction to your business, and a means of contact. Your website establishes credibility through your content and client testimonials, as well. As for content, your blog is still one of the premier lead generation tools available. You're in complete control of each post, so use the space to establish thought leadership and draw your audience in. Provide insane value to your readers by writing about what they want to know. Remember to optimize your blog with a newsletter signup and occasional calls to action (CTA) featuring links to your product landing pages. To build your content-filled, lead generation machine, try writing a value-filled post every day for one month. If your competitors are lazy, you'll have a leg up on them. Free, downloadable content targeted to your audience is an excellent tool to build leads online. Ebooks are still popular, especially for B2B companies and businesses working in a technical area. Employees love to learn more about their industry and find ways to provide more value. Other useful downloads are templates or lists that can be referred back to over and over. Think "101 Ways to X, Y or Z". Be sure to relate your free downloads to your paid products and fill them with high-quality content. While doing this, make sure they stand on their own, as well. The bar has been raised and potential customers won't offer up their email addresses for any old download. If your digital download isn't better than what people can get elsewhere, why would they want it? The bar has been raised and potential customers won't offer up their email addresses for any old download. If your digital download isn't better than what people can get elsewhere, why would they want it? A simple way to build more leads online is through a newsletter. Everywhere it makes sense on your website or blog, place a newsletter sign-up box. A newsletter gets past all the Internet clutter and lands in the prospect's inbox, where it's more likely to be read. Content should focus on sharing value with your readers. Examples are insights, recent customers wins, and important industry news. If someone is interested enough to sign up for your newsletter content and actually read it, how much more interested will they be in your products or services? That's why your newsletter should also talk about your newest offerings. Sending a newsletter through your autoresponder twice a month is a good rule of thumb. With about 65% of people being visual learners, using videos to promote your products or services is a highly effective way of communicating with your audience. People want to be entertained, so develop a great idea to promote your product and engage your prospects. Make sure it's infotainment. Combine teaching, pre-selling, and entertainment to create a must-see video. Post the video to YouTube and your own website. Do this because if the video goes viral, you'll appreciate all the incoming links. Even better, create a series of videos with an an opt-in to receive the next video in the series in exchange for an email address. To drive traffic to the video, use Facebook ads to target high-quality visitors. Remember to only promote the video, not your product offer. That's what your marketing funnel is for. Another tactic is to embed links to landing pages in the YouTube video. StumbleUpon is another way to help drive traffic to your video for a few cents per viewer. Twitter is one of the most versatile tools for generating leads online. Using Twitter you can find prospects, initiate conversations, and gain opt-ins. Start by reaching out to influencers in your industry and having conversations with them. Not only will you develop relationships with them but their followers will get involved too. No doubt you'll find their followers are potential customers. Here are two ways to reach out. First is to follow trending subjects for your business and enter the discussion using hashtags. Use hashtags to find what's trending and use hashtags for your own products when responding. The other is by participating in Twitter Chats that are relevant to your targeted customers. Either method can help you make those important influencer connections that eventually produce leads online. Once you've identified some leads, use Followerwonk to filter out ones that aren't ripe. Make contact with ripe leads while continuing to nurture ones that aren't there yet. An easy way to capture leads within the Twitter stream is by using lead Twitter Cards. These are like the sign-up forms you already use on your website. Twitter Cards are free and require no experience to set up. The power of LinkedIn, especially in the B2B space, cannot be overstated. Because of LinkedIn's high percentage of professionals, you're far more likely to find people in your target audience. Also, LinkedIn organizes groups topically so it's easier to find prospects facing specific concerns and challenges your product solves. LinkedIn's publishing platform allows you to post infographics, tips, and customer successes to various groups. This can create engagement and drive leads online. Avoid the hard sell, though. Focus on relevant, shareable content that will get your prospects' attention. Webinars are inexpensive, informative, and wide-reaching. This is why they're a great way to generate leads online. Find a topic of value to your prospects and use one of the many services available to create and broadcast your webinar easily. Promote it using social media, your newsletter, or online advertising. There should always be a call to action at the end of your webinar. This could be something as simple as asking attendees to visit your site and sign up for your newsletter. You can also offer a digital download (like an ebook) in exchange for participating. Whatever you do, make sure your CTA captures your prospect's information for future follow-up. Getting your name out into the media is a great way to build a following. You establish yourself as an expert which helps build your personal brand. The result: more leads. You might think you need to use a PR firm for this but that's not the case. You'd be surprised by how many journalists react favorably to a business owner approaching them directly. The key is to make a good pitch and be authentic when telling your story. Avoid mass emails to a list of journalists. Rather, approach each journalist personally. Don't overdo the follow-up, either. One follow up email is plenty. If they're not interested, move on. A great thing about receiving media coverage is you can get permission to use the interview content in the future. Repurpose the content into a series of blog posts, an email series, or a small ebook. Another effective lead generation tool is forming partnerships with influencers who provide complementary products that aren't in direct competition with yours. You can exchange leads or promote each others' products and services. The other side of the coin is partnering with a competitor. At first, this may sound strange. "Why would I partner with my competition?" Think about it this way. Even though you've worked hard to build your own customer lists, they're probably a bit different. Come to think of it, your products are likely a bit different too. Why not collaborate with a competing influencer so both of you can acquire some new leads online? It's as simple as combining forces to create a webinar or contributing to each other's new ebooks. This one is amazingly simple but often overlooked. How many business emails do you send in a month? Hundreds? Thousands? Imagine how many additional leads you could generate by linking your business email signature to your offer's landing page. Imagine how many additional leads you could generate by linking your business email signature to your offer's landing page. Let's say you run a large charity that employs 500 people. How much effort does it take to add a link to your donation page in the email signature of each employee? Compare that minimal effort to the potential return if only 1% of your employees' emails convert into donations. Compare that minimal effort to the potential return if only 1% of your employees' emails convert into donations. Quora is a site where people ask questions and receive answers from the online community. Marketers can create Quora profiles and link them back to their websites or landing pages. After setting up a profile, look for questions asked by prospects who are trying to solve problems that your product or service can help with. This increases the quality of your leads greatly. Especially useful is the full-text search feature. This cuts down the number of irrelevant discussions you have to wade through before finding one that's on-topic. When answering, make sure your content is targeted and useful. Be sure to link your answers back to your landing pages for maximum lead generation. Remember that relationship building is the key. Each method is designed to engage your prospects, build trust and cultivate a long-term partnership. One of these methods, alone, has the potential to generate plenty of robust leads online. Think about the potential of integrating all of these proven tools into your online marketing strategy. How do several sales funnels bursting with leads sound? 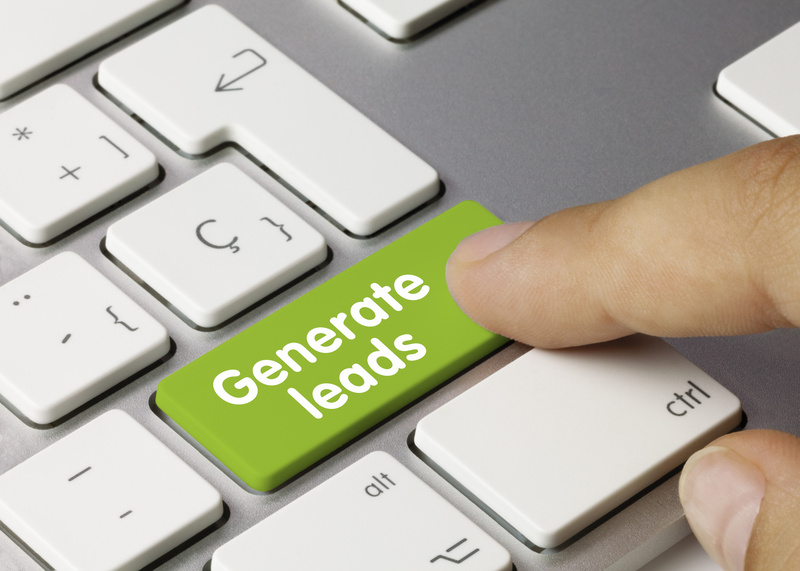 Generating leads online is one of the things we do best. We're real people who can help your business. Go ahead and drop us a line.